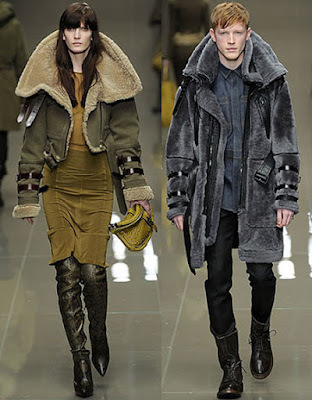 I am so excited about Burberry Prorsum’s Fall-Winter 2010 collection that was just show at London on February 23rd, 2010. The creative director Christopher Bailey has blown us away with a show that’s packed with fabulous outfits & accessories! 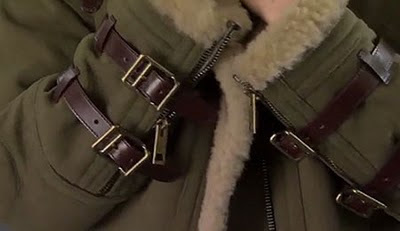 Christopher was inspired by the aviation jackets & uniform’s shape & details. 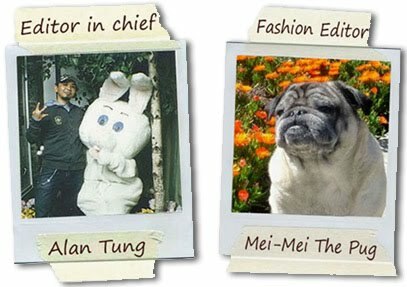 He expressed his creativities but still stay firm to the spirits & traditions of this 154 years old fashion house. 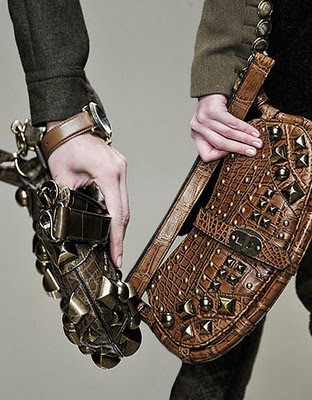 Since the year of 1956, Burberry has a casual yet “upper-class” chic, old money yet downtown cool kind of clientele. 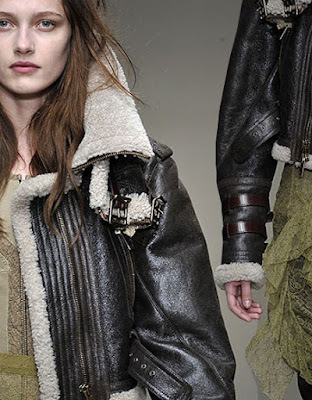 By combining the chunky aviation style jackets long & short version with tons of hardware details like buckles, rivets, belting, and mix the proportions of chunky coats vs. tight skinny pants or boots or hard & rugged materials like leather with fragile lace & silk charmeuse. It offers a kind of sexiness that’s not trying too hard but still attention grabbing! 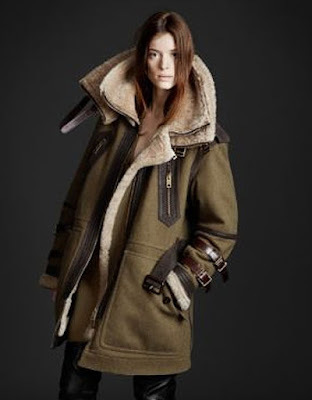 Don’t forget, rush to Burberry.com to pre-order your favorite coats & accessories!